Get specialized tools and support for just $1.50 per contract. for just $1.50 per contract. Plus get specialized tools and support. No broker-assisted futures trading fees or account fees (Schwab brokerage account required). 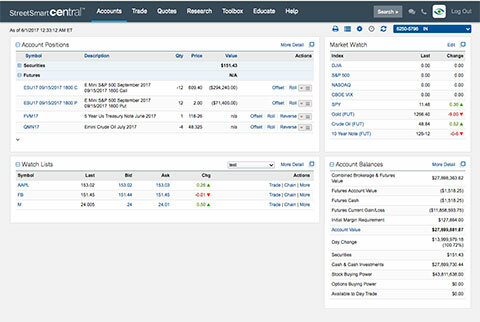 Stocks, options, and 24/6 futures trading—all in one intuitive platform. Timely and actionable research and education. Live assistance from futures specialists. Daily automated cash sweeps between your Schwab futures and brokerage accounts. Ready to trade futures at Schwab? Open an account online to get started. Already have a Schwab brokerage account? Log in now to apply online. Take advantage of StreetSmart Central™, an advanced platform that blends sophisticated technology with easy-to-use tools. 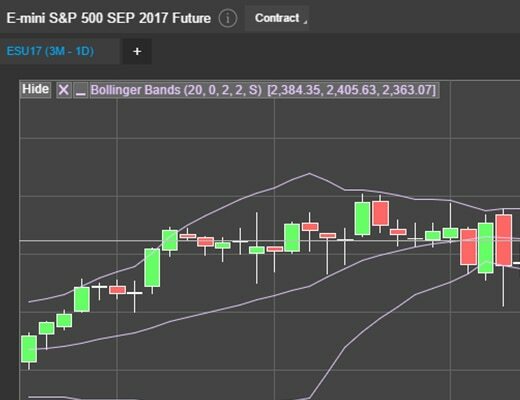 Access streaming charts, real-time quotes, trade calculators, market news, and research and analysis to help you make informed decisions. Choose from more than 40 trading tools, including customizable features that help you plan and execute simple and complex strategies. Manage your trading from anywhere with the StreetSmart Mobile™ app. Find trade ideas, take action, and stay in control with these advanced and easy-to-use tools. Access real-time data and advanced charting with customizable views and a wide range of technical studies and indicators to help you analyze trades and make informed decisions. Gauge the potential investment risk and reward by entering hypothetical trades for futures and futures options. 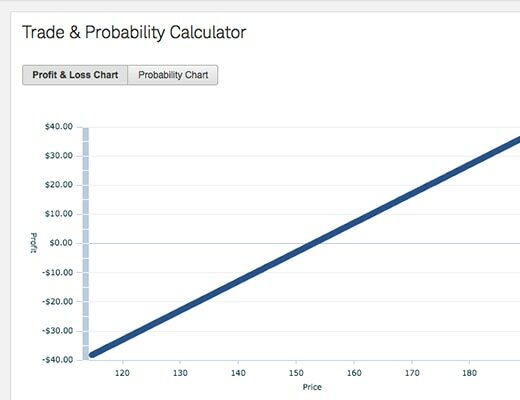 Get charts and Profit and Loss tables to help you estimate the outcomes. Place advanced futures, options, and stock orders to help lock in gains or protect against losses. 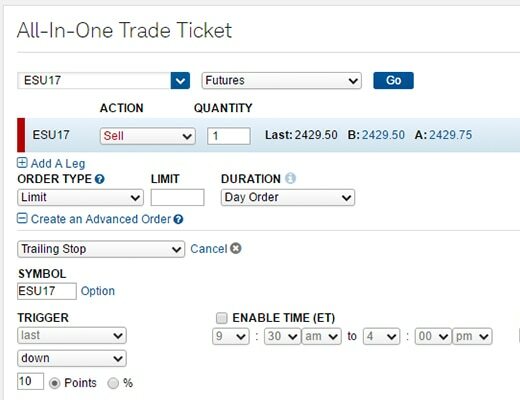 Automatically build orders or build and modify your own custom trades to execute simple or complex strategies. Use the Futures Research Center—available in StreetSmart Central—for research reports, news, and commentary on a variety of futures products such as energies, metals, currencies, indices, interest rates, grains, livestock, and softs. Get actionable market news and reports from industry-leading analysts, including Hightower, Wyckoff, Gramza, Trading Central, Dow Jones, and more. Attend interactive webcasts by futures trading experts to gain insights on strategies, tactics, and markets. Subscribe to Schwab Investing Insights® emails and choose from a wide range of topics including Looking to the Futures for daily fundamental and technical analysis, along with actionable trade ideas. Get personalized support from trading specialists who have advanced knowledge of futures trading. Support is available 24 hours a day, from Sunday, 5:30 p.m. ET through Friday, 5:00 p.m. ET. With a futures account, you have the opportunity to trade a wide range of indexes, commodities, currencies, and more. Here’s a quick overview of the benefits and advantages of trading futures—plus a list of videos on specific topics that can help you learn more. Trade commodities, like energies, metals, and grains, as well as currencies, stock indexes, and more. Access global markets 24 hours a day during the trading week, even when the stock market is closed. Get greater leverage and more efficient use of your trading capital. Take advantage of trading opportunities regardless of market direction. *The comments, views, and opinions expressed in the videos are those of the CME Group. The content presented is intended for informational purposes only. Neither Charles Schwab Bank nor Charles Schwab & Co., Inc. endorse nor can make a representation as to the accuracy, timeliness, or completeness of the information presented.